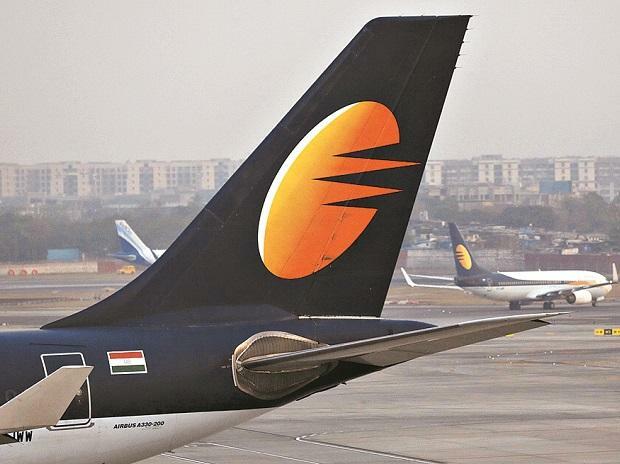 The lenders to debt-hit Jet Airways might have to rework the earlier resolution plan, which would have given them a combined 50 per cent stake in the airline for a rupee. The plan was framed under the Reserve Bank of India’s February 12, 2018 circular, set aside by the Supreme Court (SC) on Tuesday. Jet did not officially react to the SC judgment. Sources say it is taking legal opinion on the implications. State Bank of India Chairman Rajnish Kumar said the lenders were examining the judgment to assess the impact. Last week, Jet Airways' board approved the resolution plan to issue 114 million shares to lenders for Rs 1. This would give them 50 per cent control in the airline, diluting the stake of Chairman Naresh Goyal. Goyal and wife Anita quit the board last week, as part of the agreed resolution process. The lenders had also agreed to provide interim funding of Rs 1,500 crore to the airline. Jet had also made commitments to its lessors and vendors for clearing of dues - this has been delayed as funds are yet to flow in. Also, its pilots are demanding that a substantial portion of the interim funding be released as salaries. A senior public sector bank executive said, "Jet's lenders had applied the one-day default criterion (under the RBI circular) for initiating the resolution process. With the SC scrapping the circular itself, we might have to re-look at the issue of converting debt into equity and the other proposals which were under discussion. As of now, we do not know how much stake lenders will take in the airline." Section 53 (2A) of the Comp¬anies Act allows issue of shares at a discount upon conversion of a company's debt under a statutory resolution plan or a restructuring scheme under banking regulations. This would inc¬lude salvage plans under the Insolvency and Bankruptcy Code (IBC). The lend¬ers are keen to get an investor in the airline by end-May. Banks do not want to take the airline to the National Company Law Trib¬unal under the IBC; they say they are confident of attracting a buyer.